FBI makes at least one arrest in New York in connection with bomb threats against Jewish institutions. 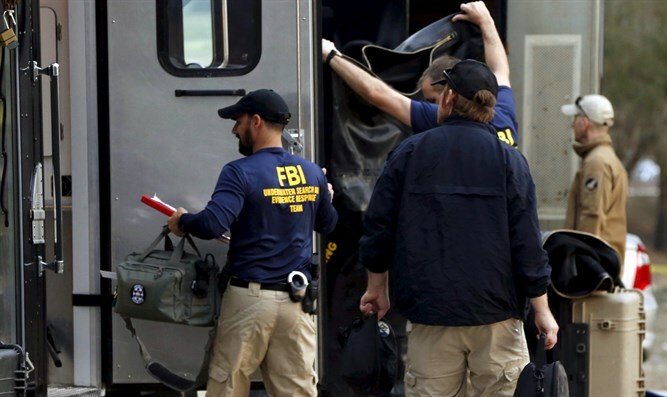 The Federal Bureau of Investigation on Friday arrested a man in St Louis, Missouri, who is suspected of making bomb threats to Jewish community centers and schools around the United States, AFP reports. The agency said the threats were made as part of Thompson's efforts to harass an unnamed former girlfriend. "Today, we have charged Juan Thompson with allegedly stalking a former romantic interest by, among other things, making bomb threats in her name to Jewish Community Centers and to the Anti-Defamation League," New York-based Attorney Preet Bharara said in a statement quoted by AFP. Thompson allegedly emailed in threats against the Jewish institutions that indicated his ex-girlfriend was behind the threats. He also made some in his own name, but as ploys to allege that she was trying to frame him for the crime. Jewish community centers and schools across the U.S. have repeatedly been targeted with false bomb threats. No bomb was found after any of the threatening phone calls against the JCCs, but the threats prompted clamor for President Donald Trump to condemn the anti-Semitism behind the targeting of these Jewish institutions. At his address to a joint session of Congress this week, Trump condemned the wave of anti-Semitism, saying, “We are a country that stands united in condemning hate and evil in all its forms."